In the similar manner as the other heritage hotels all across the country, heritage hotels in Village Chitrasani are also former residences, palaces or hunting getaways of the erstwhile royalty of the region. Chitrasani is a beautiful village in Banas Kantha District of Gujarat. Located around 13 kms towards the north of Palanpur and 136 kms from Gandhinagar, the capital of the state, this village is a proof of rich cultural past of the region that has still been kept intact in its heritage properties. During your stay in these spacious heritage properties, you can not only enjoy the mesmerizing view of the Aravalli range but can also enjoy the calmness of the surroundings, away from the hustle-bustle of the city life. While keeping the royal-feel intact, the present-day caretakers have added every modern-day facility such as internet access, attached bathrooms, dining hall, sprawling gardens, recreational facilities and much more. 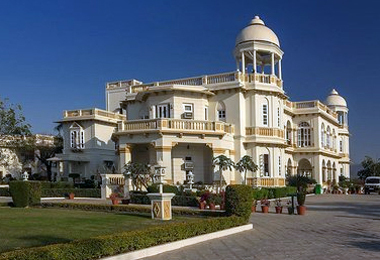 Use the services of Heritage Hotels of India to make an online booking.